Hard to remove water stain on a bathroom carpet. AMAZING transformation - We had no idea the carpet was blue! Carpet Cleaning, a specialist cleaning service offered by Shaun and his team of dedicated cleaners, in the Surrey area. 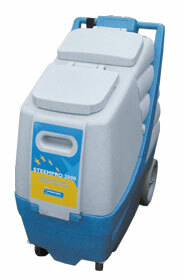 When Carpet Cleaning, the first stage requires a pre-spray treatment on the carpet to break up the dirt. Following this, the carpet is raked to bring the pile back to new.